One day dogs start eating cat food and cats start eating dog food. Cats turn into dogs and dogs turn into cats. This book is a guide to what happens to the cats. 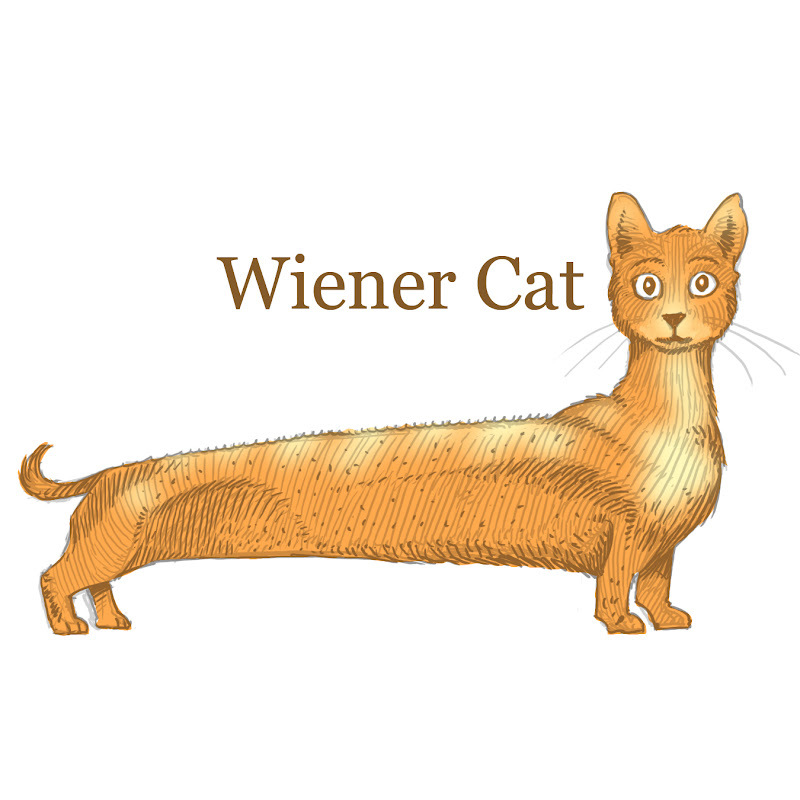 You will meet English Bullcats, Catuahuas, Great Cat Danes and more, including the titular Wiener Cat. My kids came up with this idea. Kudos to the kids. They're funny.